This species is accepted, and its native range is S. U.S.A. to Mexico (Sonora, Chihuahua, Durango). Dorn, R.D. (2001). Vascular Plants of Wyoming, 3rd edition: 1-412. Mountain West Publishing, Cheyenne, Wyoming. Cronquist, A. in Cronquist, A. Holmgren, N.H. & Holmgren, P.K. (1997). Apiaceae, the Carrot Family Intermoumntain Flora. 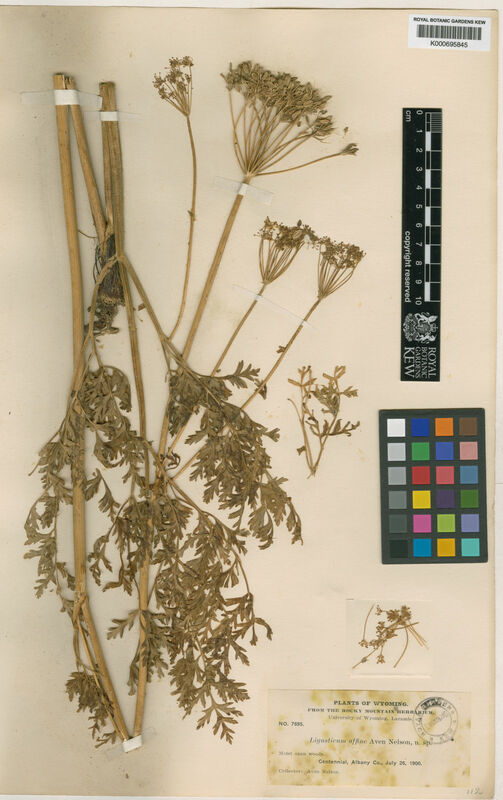 Vascular Plants of the Intermountain West, U.S.A. 3A: 1-446. New York Botanical Garden.